This talkative cat breed has ancient ties to Thailand and is unmistakable for its markings. The Siamese cat may be the world’s most recognizable feline. Aside from becoming unforgettable in the classic Lady and the Tramp film, these cats are unmistakeable with their light coats and dark extremities. Siamese are unique cats, with their long and angular elegance and coat coloration. The main coat of the cat is light, and the facial area mask and extremities are dark. This pattern is known as “seal point” coloration. Other colors include chocolate, blue and lilac seal points. Sometimes cinnamon, fawn and cream have been recognized. While the origin of the Siamese cat is still considered a mystery, a manuscript dating between 1350 and 1700 discovered in ancient Siam (now Thailand) called the Cat Book Poems described a pale cat with a dark facial mask and dark feet, ears and tail. The Siam, later called the Siamese, was revered by royals and rumored to be sacred. Siamese cats were exported and quickly became popular in various countries. The breed was first seen in Europe in 1871 at a cat show in London, and it later appeared in the United States in 1879 as a gift to the wife of President Hayes. 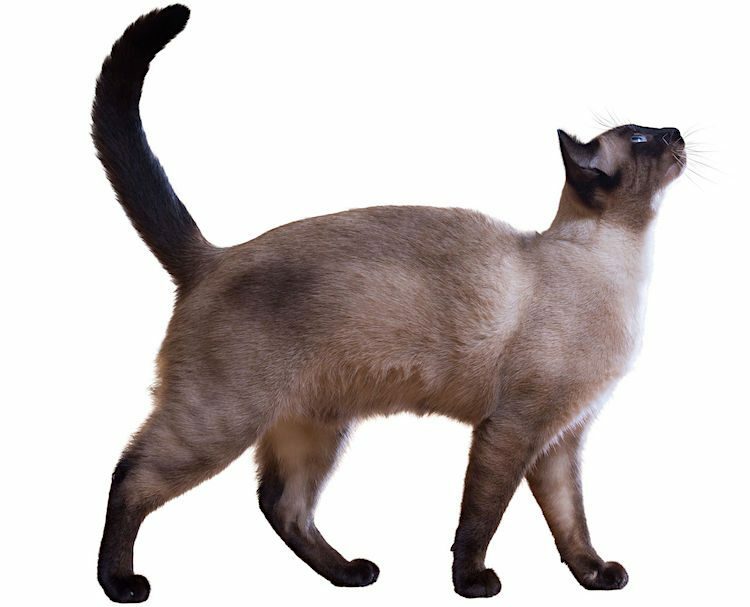 The Siamese Cat Club was formed in 1901 in the United Kingdom, and the Cat Fanciers’ Association (CFA) recognized the breed in 1906. The Siamese breed is considered one of the original pedigreed cat breeds. 3. How Friendly Are Siamese Cats? Siamese cats crave attention and affection from their humans. They are intelligent and inquisitive cats who have such striking voices and body movements that they are referred to as the most talkative cat breed. Great with children and other pets, Siamese cats can be demanding and leery of strangers. Many people have said that their Siamese cats greet strangers at the door and perform a sort of approval process before the visitors enter the home. This is an active cat who needs stimulation or lots of toys to keep occupied. Siamese cats are people-oriented and don’t like being left alone for extended periods of time. If you work long hours, consider getting 2 Siamese cats so they can entertain each other when you’re gone. Rest assured they will fill you in on the day’s events when you arrive home. MEDIUM: Siamese cats are active and muscular, and they do not have any specific exercise needs. They do like to play fetch, so stock up on cat toys and have some fun. 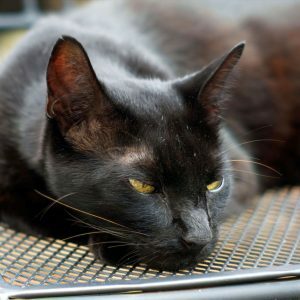 LOW: This cat breed has a short, silky coat that requires minimum maintenance. Brush the coat once per week and be sure to clean the ears and teeth, and trim the nails regularly. As with any cat, be sure to feed a high-quality diet and have annual exams performed by your veterinarian to keep your cat in optimum health. 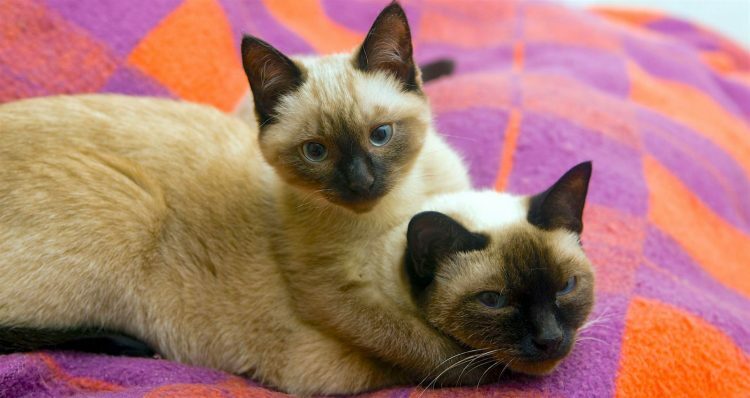 If you’re considering getting a Siamese kitten or cat, please check adoption resources — even purebred cats can end up in shelters and rescues. 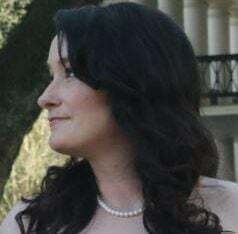 Try Petful’s adoption page. If you decide to get your Siamese kitten through a breeder, watch out for any signs that the breeder is operating a kitten mill.